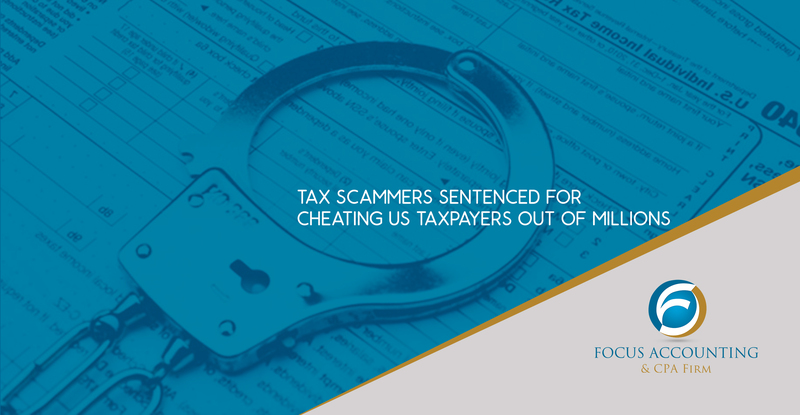 Many tax scammers were arrested in the United States and India after the bust of a large-scale Internal Revenue Service (IRS) impersonation phone fraud. Twenty-one members of a massive India-based fraud and money laundering conspiracy were sentenced for their crimes in Houston, Texas this week. The defendants had ties to India-based call centers that targeted US residents and cheated thousands of them out of hundreds of millions of dollars. As part of the scheme, scammers impersonated officials from the IRS or US Citizenship and Immigration Services (USCIS). Victims were threatened with arrest, imprisonment, fines or deportation if they did not pay money, including back taxes and fines, allegedly owed to the government. Scammers instructed victims to send payment, usually via debit or gift cards or by wire. Once the payment had been made, runners based in the US would liquidate and launder the extorted funds as quickly as possible. Runners typically earned a specific fee or a percentage of the funds in the fraud. Among those sentenced included Mitesh Kumar Patel, 42, of Illinois. Patel was sentenced to 240 months in prison plus three years of supervised release for money laundering conspiracy. Patel is responsible for laundering between $9.5 and $25 million for the scheme. Hardik Patel, 31, of Illinois, was sentenced to 188 months in prison and three years of supervised release for wire fraud conspiracy; he will be deported after his sentence has run. Patel is responsible for laundering between $3.5 and $9.5 million for the scheme. Sunny Joshi, 47, of Texas, was sentenced to 151 months in prison for money laundering conspiracy, and 120 months in prison for naturalization fraud. Joshi communicated extensively with India-based call centers and is responsible for laundering between $3.5 and $9.5 million. Eighteen other defendants were also sentenced in connection with the scam. Those sentences ranged from probation to 165 months in jail and supervised release. A number of the defendants were also recommended for deportation or removal after they serve their sentences, and held liable for restitution of $8,970,396 payable to victims of their crimes. The court also ordered that assets seized in the case be forfeited. Anyone who believes they may be a victim of fraud or identity theft as part this scam or other telefraud scam is encouraged to visit the Federal Trade Commission’s Complaint Assistance webpage. When in doubt, assume it is a scam. If you are not sure whether a call is legitimate, hang up and call back using an official number. The more you know about how to protect yourself, the better chance you have not to be a victim. So, here are some more tips on protecting yourself from identity-theft-related tax fraud. 1) Keep your mailing address current. It is likely that you will change homes more than once in your lifetime. When you switch addresses, make sure that you contact your financial institutions, credit reporting agencies, and tax authorities so that your mail does not end up in the wrong hands. 2) Check your bank and credit card statements regularly. You do not have to be obsessive but do check your accounts from time to time to make sure that the recorded transactions are actually yours. Investigate and immediately report any suspicious activity. 3) Understand that public Wi-Fi access really does mean public. Do not connect to an unknown Wi-Fi connection. If you must connect using public Wi-Fi, use a VPN (virtual private network). In addition, save the sensitive data – such as online banking – for later. It really is best to avoid websites that could expose your passwords or financial information to potential cyberthieves on public connections. 4) Take care with private documents. With so much emphasis on internet security, it is easy to forget to safeguard paper documents. Do not be careless with credit card statements, bank receipts, and copies of tax returns. File the copies you need and shred the ones that you do not. Use secure passwords and update them at regular intervals. Do not use the same password for multiple sites. To help you keep track, use a password manager such as Last Pass. 6) Do not fall for phishing and other scams. Phishing often comes in the form of an unsolicited email or a fake website that poses as a legitimate site (like those pretending to be IRS) in order to get you to disclose your personal or financial information. Do not follow any links from these e-mails to any websites where you might be asked for your personal information. Verify that you are on a legitimate site before sharing your data. If you must access a particular site, log out from any links that you are not sure about and navigate directly to the site instead. Also, remember: the IRS will not initiate contact with you by email (or phone) to discuss your account. 7) Be stingy with your Social Security Number. These days, many companies ask for your Social Security Number not because they need it but because they want to use it as an identifying number. That is not the intended use. Before you give out your Social Security Number, determine whether the company really needs the information – and why. If you do not see a legitimate purpose, do not provide your Social Security Number when asked and do not submit it online. 8) Monitor your credit report. By law, you are entitled to one free copy of your credit report each year from each of the major credit bureaus (Equifax, Experian, and TransUnion): that is three reports every year (you may be entitled to additional copies if you are the victim of identity theft). Review your credit report the same way you do your credit card or banking statements: check to make sure that the transactions and credit requests are those that you have approved. 9) Pay attention to fraud alerts. Many banks will alert you whenever there is a suspicious transaction on your account. It can be a little inconvenient if the transaction is legitimate but it is a lot better than having your card actually compromised and not knowing about it. Ask if your bank or lender has fraud alerts – and use them. 10) Do not give out information online.